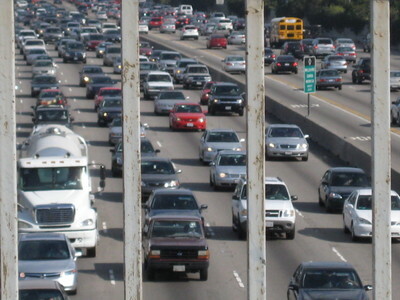 LA en vie: The 405: Land of the Free? There's the California I lived in and remember. Mine was a few hundred miles north of yours, but the landscape I saw through the windshield of my car was the same. Sometimes I wonder, "Can they walk? ".